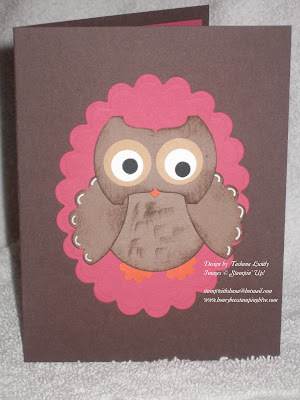 Here is a card I made using an owl I seen on Dawns blog. Isn't this little guy just the cutest? He was made using a variety of punches. Very quick and easy. The scalloped background was made using my oval nessties.